Focused on the theme, “Vocation, Vocationalism, and the Liberal Arts,” the fourth annual Conversation on the Liberal Arts met on campus in February. 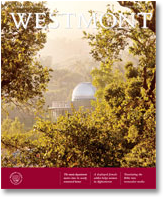 The Institute for the Liberal Arts at Westmont sponsored the event. The conference explored the relationship between learning, work and calling. Topics included: How can educators communicate all that a liberal arts education can be to those who see higher education as essentially job-related? How can educators help students embrace educational goals that go beyond the job market, like civic engagement, personal enrichment and community leadership? Can we draw on students’ concern for their careers, transforming those concerns into the pursuit of a calling? Representatives from public, private, religious and secular institutions nationwide participated. The colloquium included three plenary sessions as well as opportunities for smaller group discussions. The plenary speakers were: William Sullivan, senior scholar at the Carnegie Foundation for the Advancement of Teaching and co-author of “Habits of the Heart”; Nicholas Wolterstorff, professor emeritus at Yale University and Yale Divinity School and author of many books on philosophy, theology, and higher education; and Sabine O’Hara, ecological economist and dean of Concordia College in Moorhead, Minn. In a session open to the public, a panel shared their personal experiences with the relationship between learning, work and calling. Joining Wolterstorff, Sullivan and O’Hara were: Gary Hart, former California secretary of education; Leeba Lessin ’79, former president of northern California operations for Pacificare Health Systems; and Peter Buehler, pastor of First Presbyterian Church of Santa Barbara. The Institute for the Liberal Arts was established four years ago to promote the importance of the liberal arts tradition in higher education. 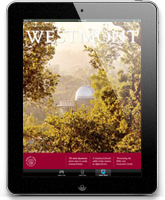 For more information, visit the institute’s Web site at http://libarts.westmont.edu.